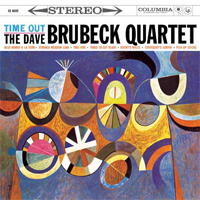 Analogue Productions and Quality Record Pressings present the definitive Version Time Out by The Dave Brubeck Quartet First time reissued as a gatefold jacket, with rare black and white photos from the Columbia Studios recording session. Analogue Productions brings you the definitive copy. Why definitive? The dead-quiet double-LP, with the music spread over four sides of vinyl, reduces distortion and high frequency loss as the wider-spaced grooves let your stereo cartridge track more accurately. But it's more than just the vinyl that makes this release so special. For the first time in its history, Time Out is presented here packaged in a deluxe gatefold jacket. Inside are eight fantastic black and white images shot during the recording session at Columbia's famous 30th Street Studios. Sony Music supplied the images for use in our reissue, and gave us persmission to use them in our LP reissue as well.